Click on the award to enlarge. 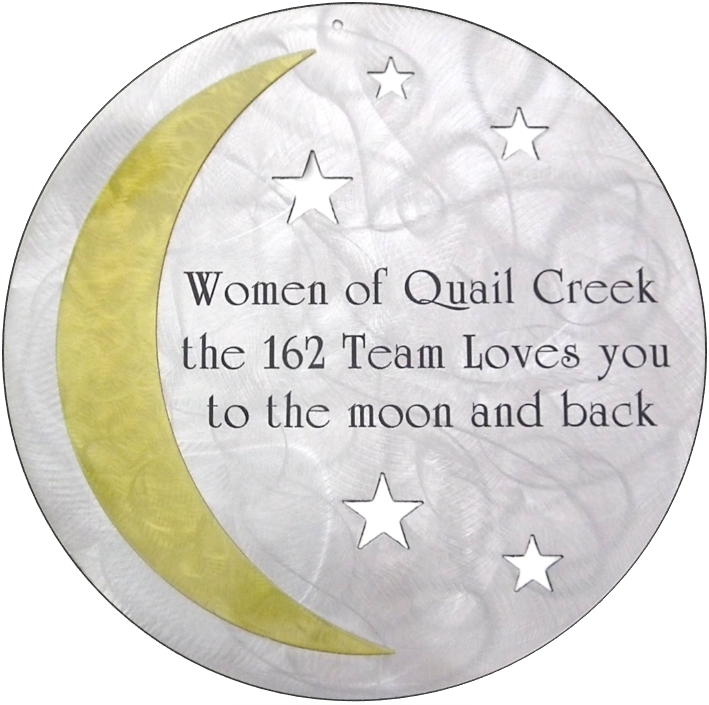 May 2017 — The “Family Readiness Appreciation Award” and plaque were presented at TWOQC’s May 22 program to The Women of Quail Creek from a representative of the 162d Wing Air National Guard. 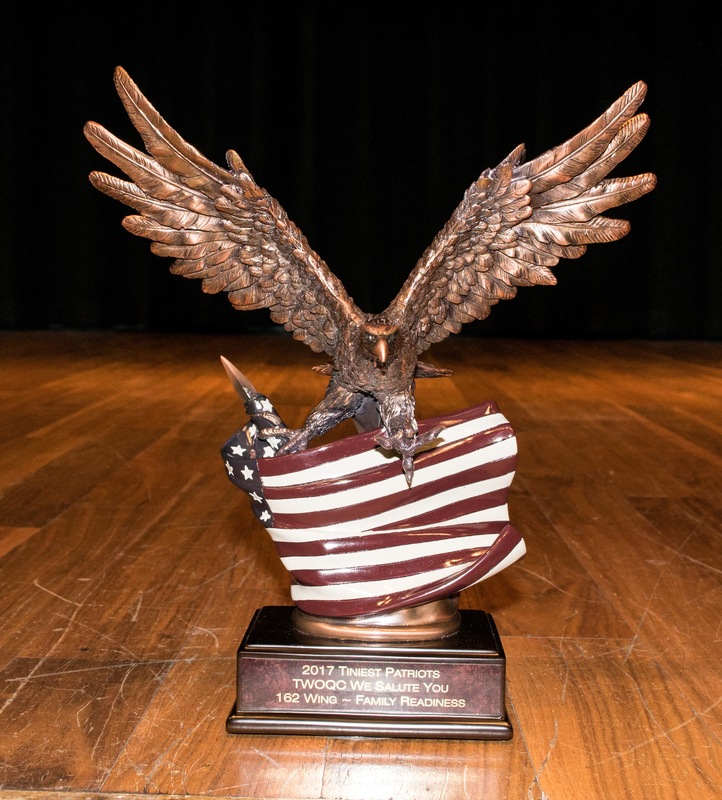 The beautiful awards were in appreciation of this year’s baby shower for military families, themed “Our Tiniest Patriots”, held on Saturday, May 20th at the Air National Guard facility on Valencia Road in Tucson, Arizona. 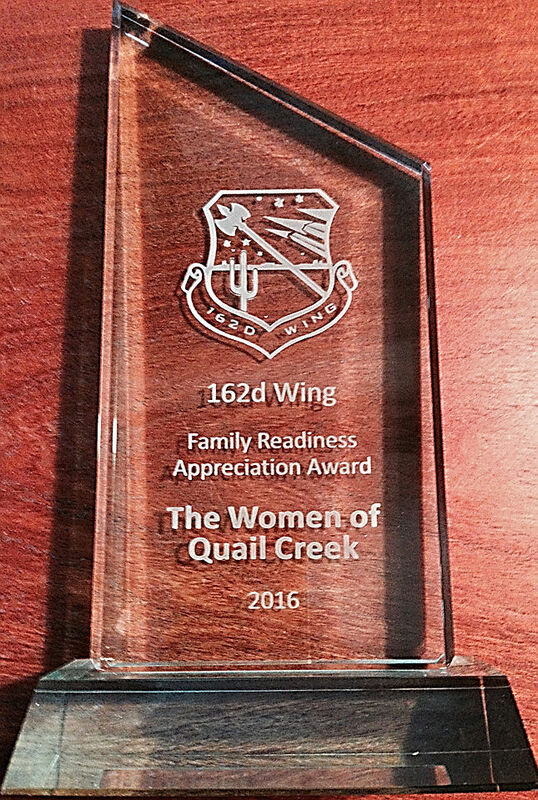 April 2, 2017 — The “Family Readiness Appreciation Award” from Brigadier General MacDonald of the 162d Wing Air National Guard. This recognition is due to the annual military baby shower that is held on the base. 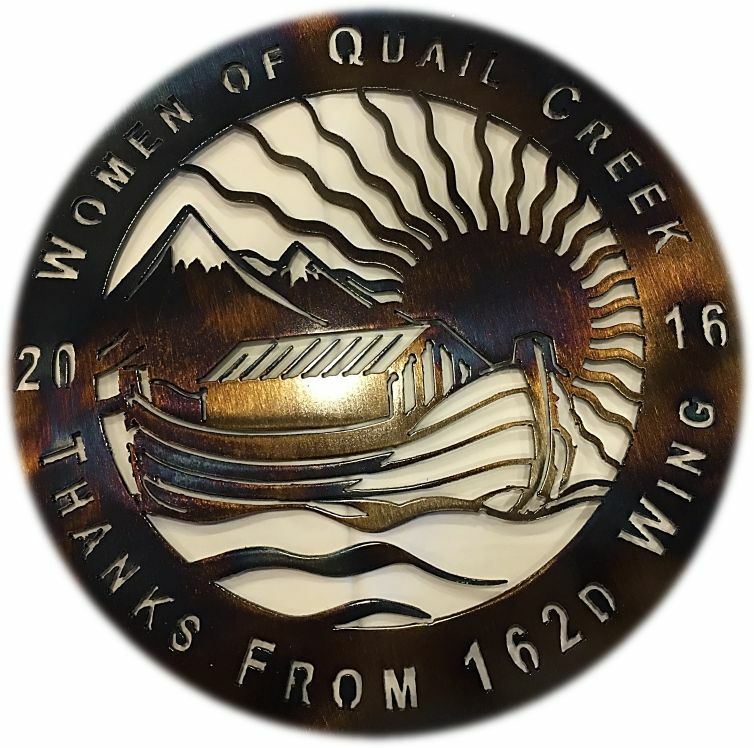 The Women of Quail Creek’s awards are on display in the Quail Creek Creative Arts & Technology Building, sharing the same parking lot as the Madera Clubhouse.